Our spacious Corporate Suites offers FREE Wi-Fi Internet, Foxtel with movies & sport, Room Service and Charge Backs. We are within easy walking distance to Eateries & Hotels. Rates are for 1 person Extra adults AU$20.00. The room caters for a maximum of 2 adults. We offer quality, clean, comfortable and affordable accommodation. Our spacious Queen Suites have WiFi internet, Austar, Room Service.We are within easy walking distance to eateries & Hotels. Rates are for 2 people The room caters for a maximum of 2 adults, and a maximum of 1 child but cannot exceed 2 guests in total. We offer quality, clean, comfortable and affordable accommodation. Our Twin Suites comprises of one Queen Bed & one Single bed. We are within easy walking distance to eateries & Hotels. Rates are for 2 people Extra adults AU$20.00. The room caters for a maximum of 3 adults, and a maximum of 1 child but cannot exceed 3 guests in total. We offer quality, clean, comfortable and affordable accommodation. Our One Bedroom Family Suites comprise of One Queen bed & Two Single beds. We are within easy walking distance to eateries & Hotels. Rates are for 2 people The room caters for a maximum of 4 adults, and a maximum of 2 children but cannot exceed 4 guests in total. Our Spacious two bedroom family suite comprises of one Queen bed, two single beds in a separate room and a set of bunks in an alcove. Ideal for a large family or two couples. Rates are for 4 people The room caters for a maximum of 5 adults, and a maximum of 4 children but cannot exceed 5 guests in total. Bendigo’s Allara Motor Lodge is a great base to explore, work or relax when you visit our vibrant city. 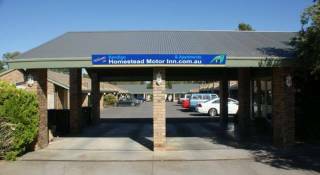 Our motel is only 5 km from the centre of Bendigo along the Midland Highway (Napier St). Bendigo’s Allara Motor Lodge offers friendly service and quality accommodation at reasonable rates in a relaxing garden setting. Bendigo’s Allara Motor Lodge offers a variety of ground floor suites to suit all your accommodation needs. We have Queen Suites, Twin Suites, One Bedroom Family and Two Bedroom Family Suites. We also provide a suite suitable for the disabled. Some of the features in the suites include: digital flat screen TV with Foxtel, fast FREE WI-FI and each suite has its own undercover patio setting. Set in a newly landscaped garden, Bendigo’s Allara Motor Lodge offers many unique recreational activities such as a swimming pool, basketball ring, a handball court and hopscotch for children. Breakfast is served to your suite at your required time. For the professional or tradesman, your evening meal can charged back to your room from participating hotels and restaurants. Enjoy a stroll through the nearby Historic Bendigo Botanical Gardens. Then sit down and relax at Bendigo’s famous Botanical Gardens Hotel. Enjoy generous serving of country hospitality, a cold beer, a hearty meal and all at a reasonable price. Other nearby attractions include: Bendigo Race Track, Bendigo Pottery, Bendigo & Neangar Golf Clubs, Epsom Sporting Complex, Cycling and Walking tracks. Bendigo’s Allara Motor Lodge has something to suit everyone from the holiday makers to the travelling professional or wandering senior. The facilities and friendly services provided by The Allara Motor Lodge ensure a pleasant stay for all. the first nights accommodation charge. From Alexandra Fountain in Bendigo's CBD travel North 5 minutes along to Napier Street (Midland Highway). 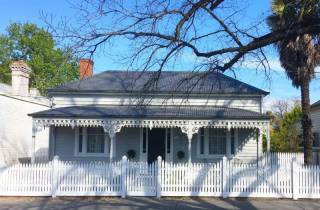 Just 50m from the Botanical Hotel and the Bendigo Botanical Gardens on the left hand side.